Posted on May 30, 2018 May 30, 2018 by Debito Arudou Ph.D. 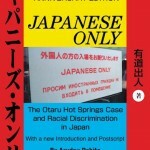 This exclusionism is somewhat old hat for people who have been following the Otaru Onsens Case and the other “Japanese Only” places in Hokkaido and nationwide for all these decades. But when it starts happening to famous people (such as those playing for local Japanese teams), you know the bigots have lost their common sense from a public relations point of view. FORMER England and Cardiff footballer Jay Bothroyd has claimed he was turned away from a golf course in Japan, where he is now playing, because he is a foreigner. 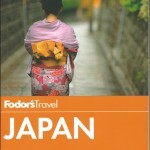 Jay Bothroyd claimed he was turned away from the golf course for being a foreigner. The 36-year-old Arsenal academy graduate, who made his only appearance for England in 2010, joined J1 League club Hokkaido Consadole Sapporo last July. But the striker was left stunned after he was refused entry to his local golf course on the northernmost of Japan’s major islands – the Hokkaido Classic – which was designed by golf legend and 17 time major tournament winner Jack Nicklaus. The exclusive par-72 course charges £338 for a weekend round of golf between June and July, with its fees website page stating that non-Japanese players must be accompanied by a club member. But Mr Bothroyd, who has also played in Italy and Thailand, took to social media to question if it would be deemed racism in the UK or US. He tweeted: “Today, I wanted to play golf, and when I went to Hokkaido Classic Golf Club, I was told that foreigners refused. A British man in his 30s has also claimed he is sometimes declined entry to some places in Mr Bothroyd’s adopted city of Hokkaido. 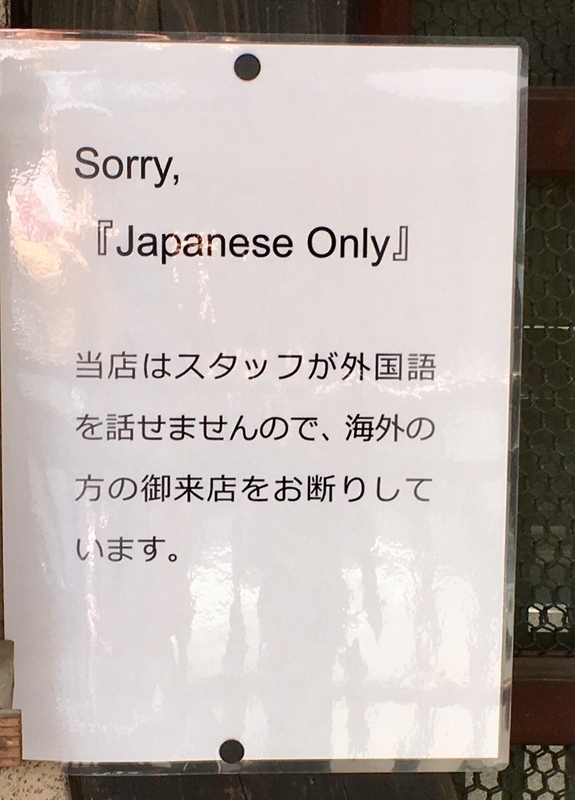 A survey by the Justice Ministry in March revealed a worrying number of foreigners who are refused entry to venues in Japan, even though some are even able to speak the language. It found that 247 out of 4,252 foreigners are “sometimes” refused entry to shops and restaurants due to their nationality, while 18 said they were “frequently” refused entry. 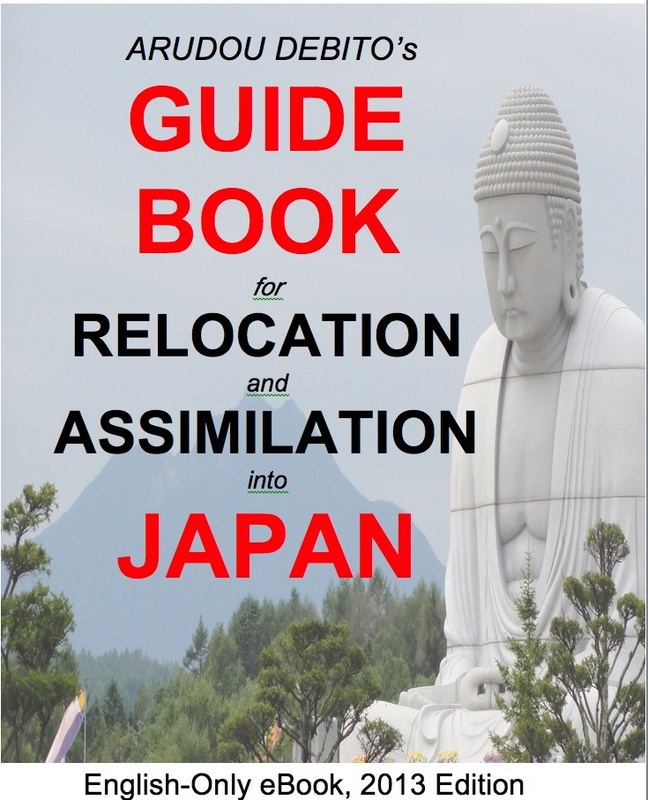 In addition, 347 anti-immigration rallies took place in 2013, growing to 378 in 2014, while Brazilian journalist Ana Bortz successfully sued a store in Hamamatsu after the owner tried to eject her. In May 2016, Japan passed the Hate Speech Law, aimed at curbing racial discrimination to fight the growing problem. When Tokyo hosts the Olympic and Paralympic Games in 2020, Japan is expected to welcome more than 40 million tourists, with organisers hoping to eradicate the problem in time for the global showpiece. Posted on May 23, 2018 May 30, 2018 by Debito Arudou Ph.D. I spotted a Japanese only sign near our Air BNB in Asakusa. 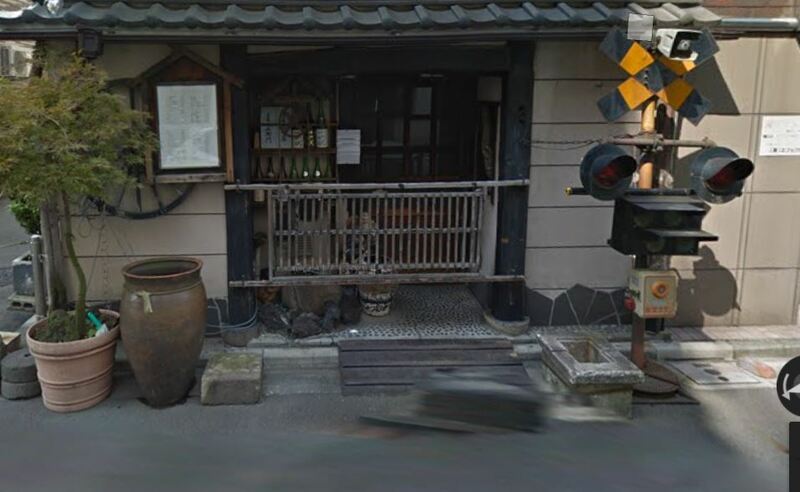 [Japanese version: None of our staff at this establishment speak foreign languages, so we refuse entry to all people from overseas (kaigai no kata)]. I took it down and they put a new one up the next day. Picture of sign and front attached. Posted on May 2, 2018 May 30, 2018 by Debito Arudou Ph.D. 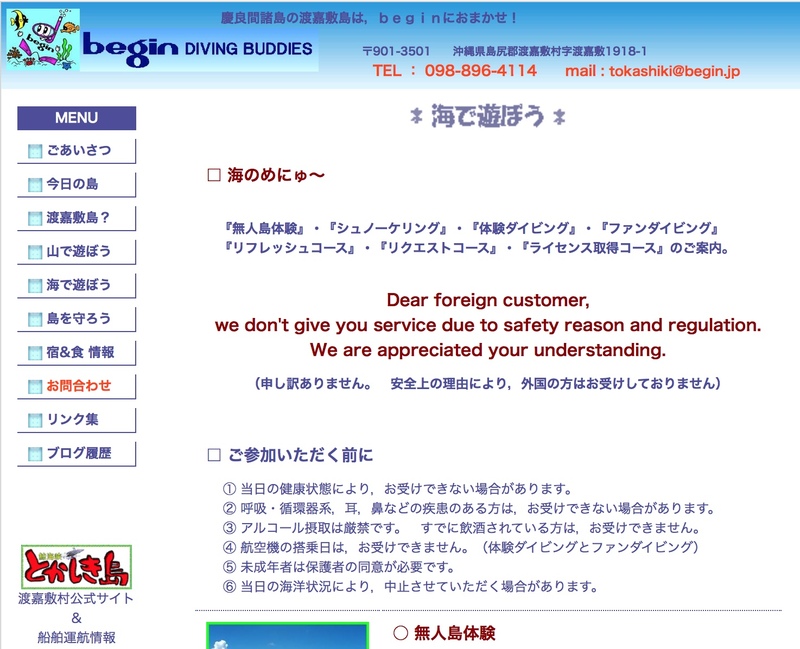 In addition to the hundreds of “Japanese Only” businesses found on the Rogues’ Gallery of Exclusionary Establishments (the fieldwork for book “Embedded Racism“), here is an Okinawan diving and hiking tourist agency called “Begin Diving Buddies” on a remote southern island called Tokashiki (35 mins by boat from Naha, Okinawa Prefecture) that refuses all “foreign” divers or hikers. 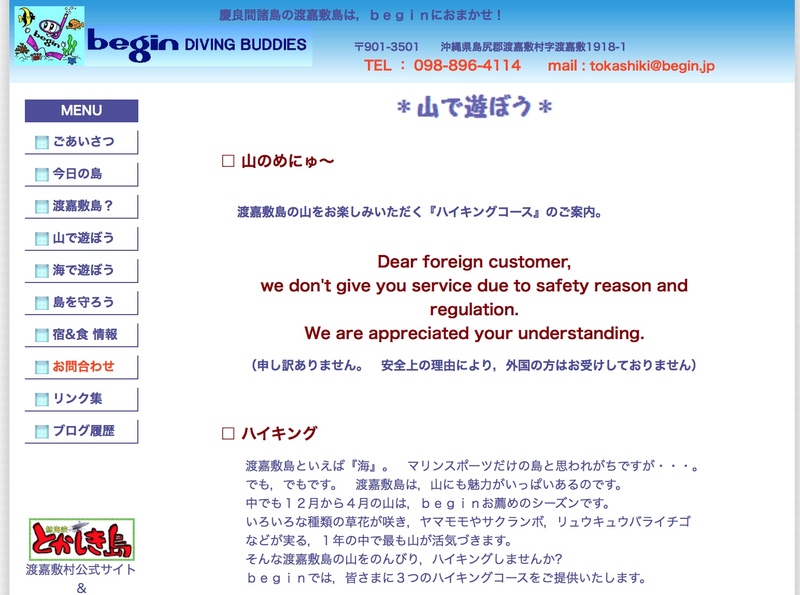 Their excuse: “safety reason and regulation” (or more simply in the Japanese, just “safety” (anzenjou), since there are NO regulations which blanket refuse foreigners in specific for wanting to swim dive or walk in the mountains).